Auto Glass Week™ (AGW) is here and we couldn’t be more excited about attending this year’s conference. AGW™ is a huge annual exhibition where auto glass professionals from across the nation get together for a thrilling three-day event. The event is the perfect opportunity to network with fellow professionals, industry suppliers, manufacturers, and other prominent figures in the auto glass repair industry. We’ll learn more about the latest practices, techniques, and innovations to hit the market, while also having a good time watching technicians take part the “Olympics” of the automotive glass industry. The 2018 Auto Glass Week™ conference is sponsored by all the biggest names in the industry, including one our favorite manufacturers Dow. Why Do We Highly Value Dow? We believe that Dow’s glass bonding systems are the best on the market, allowing us to perform aftermarket glass replacements that meet OEM specifications and Federal Motor Vehicle Safety Standards (FMVSS). We’re not the only auto glass business that swears by Dow adhesives – it’s an industry leader when it comes to their bonding products. This is precisely why we use them! Our commitment to quality and safety means we use only the best products possible, which is what Dow adhesives provides, and it’s why we always attend Auto Glass Week™. We’ll be excited to see what news Dow and the various other industry leaders will be showing at the main exhibition hall. Getting a sneak peak at the exciting developments from the top manufactures allows us to remain ahead of the curve and continue to provide an exceptional quality service for our customers. 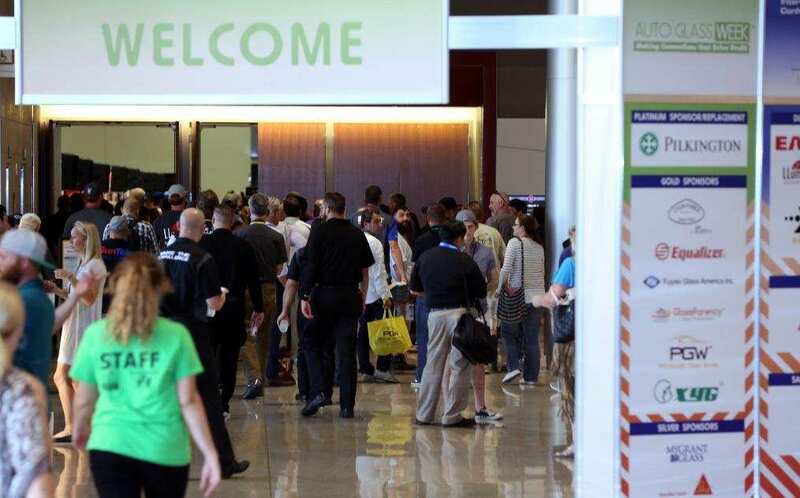 But we won’t be just hitting the main exhibition, as there are countless seminars, training courses, and keynote speakers taking place over the three-day event. We feel these events are some of the best to attend as they give us insight into the latest practices and procedures to hit the auto glass industry. These events are the main reason for our attendance, as they give us the chance to learn more and improve what we do, helping us provide the best quality service we always strive to give. That said, Auto Glass Week™ isn’t just about attending conferences and meeting with manufacturers and fellow glass professionals – there are plenty of fun games on show! There are various friendly competitions taking place, pitting the most talented auto glass technicians against each other in a series of repair and replacement challenges. While we won’t be competing ourselves, it’s going to be fun to see how the young lions of the industry compete to be crowned the best auto glass technicians in the country! Plus, the opportunity to meet with our peers is always a great thing. There are countless amazing people working in the industry, and we cannot wait to mingle with everyone and talk all things auto glass. This year’s Auto Glass Week™ looks set to be the best yet and we are excited to participate. We’ll bring you any interesting new and updates from the event – there should be plenty to talk about!